Whether a person is on the go, at home or the office, sending encrypted email messages are just a mouse click away with LockMagic. As long as access to the internet is at hand, LockMagic makes it easy to send encrypted email from any device connected to the internet. 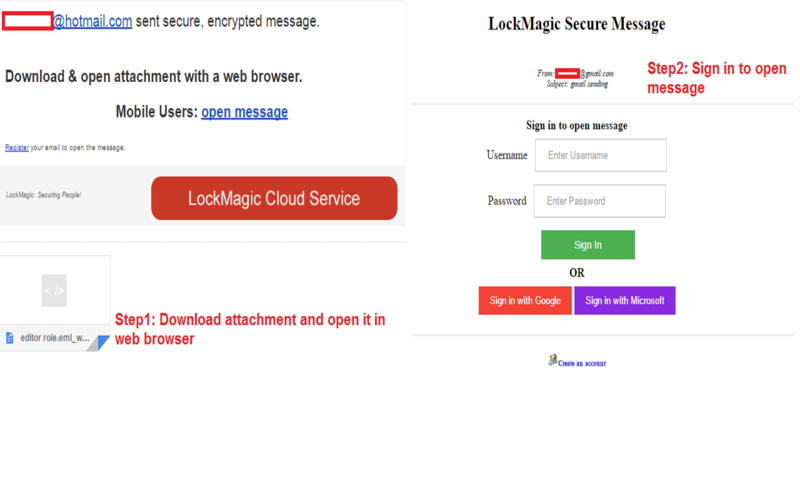 The LockMagic GMail or Outlook Web App allows users to send encrypted email to anyone in the world directly from a web browser. 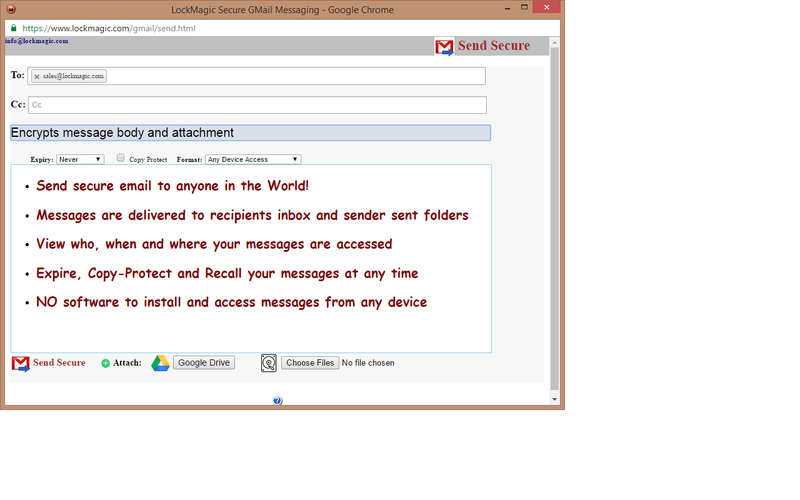 The secure message body and attachments are encrypted inside your web browser before being sent to Gmail or Outlook. You will find a copy of the secure message in your sent items folder like a normal message. Recipients receive the message content directly into their inbox folder and they open the message by downloading the attachment in a web browser. The recipient is required to sign in to Lockmagic and the message is then decrypted inside the web browser. The recipient can reply directly from the message viewing window. The recipient can open the secure message content with a simple download and sign in as show below without installing any software.